Contribute to the AGC Action Today! Fill out the pledge form. A healthy PAC is vital to any government relations program. AGC Action, AGC of Ohio’s political action campaign, supports policy makers that support the construction industry and AGC’s issues of importance. Among the recent issues are fair and reasonable contracting practices, workable regulations, workers’ compensation reform, tax reform, economic development and growth initiatives and tort reform. AGC Action relies on personal contributions from contractors for funding. Your contribution is an investment in your future and the future of the construction industry. WHAT IS AGC ACTION AND WHAT DOES IT DO? 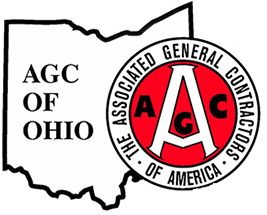 AGC Action is AGC of Ohio's political action committee. 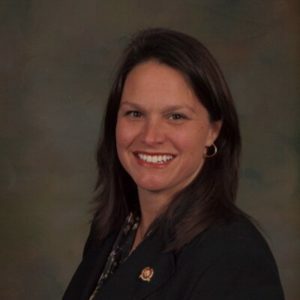 It pools voluntary contributions from individuals in the construction industry to make political contributions to candidates for legislative and statewide offices. WHY DOES THE INDUSTRY NEED A PAC? Legislative actions have a major impact on the construction industry and employers. It is important to elect members of the Ohio General Assembly and statewide officers who are willing to listen objectively to our concerns, understand them and act accordingly. HOW DOES AGC ACTION IMPACT AGC’S ADVOCACY EFFORTS? AGC Action activities are an integral part of our comprehensive government relations program. A healthy PAC helps us build stronger relationships. AGC Action funds provide staff and contractors the opportunity to reinforce AGC’s message with key decision makers and support elected officials that are sympathetic to our industry. WHY SHOULD I CONTRIBUTE IF MY COMPANY PAC OR I DIRECTLY CONTRIBUTE TO CANDIDATES? Don’t withhold your personal support – it’s important. However, AGC Action provides contractors with an opportunity to influence our elected officials from a position of collective strength. Your contributions to AGC Action are combined with others to jointly support candidates and provide a unified and powerful voice for the commercial building industry. DOES THE PAC HELP BUY POLITICIAN’S VOTES? No. Contributions help gain access. And, if office holders are in a position to listen our concerns, we help them get elected to office, which is a very expensive process. Our support of construction-friendly candidates aids them in their reelection efforts. WHAT CRITERIA IS USED TO SELECT WHICH CANDIDATES TO SUPPORT? AGC Action considers a number of variables: voting records and committee assignments, incumbency, philosophical agreement with AGC issues, viability of the campaign and local contractor support. Bipartisan AGC Action contributes to elected officials that demonstrate an understanding of the construction industry and show promise in protecting and advancing those interests. MAY I USE CORPORATE FUNDS? No. The state of Ohio does not allow it. Sole proprietors, partnerships and unincorporated associations, which include incorporated professional associations and limited liability companies, may provide a contribution. HOW ARE PAC CHECKS DELIVERED? With few exceptions, PAC checks are given to candidates personally by either AGC staff or a contractor during a casual meeting outside their statehouse offices or at a fundraising event.